What a week it has been, Fashion Week’s now officially over. Time to recap all the looks and come up with the trends for this coming Fall. Initially Paris seemed to be a blur of pink but it didn’t take long for red to take over. Mustard and yellow remain a treat. Tartan and leopard print too. Keep scrolling for the highlight – this seasons new Chanel IT bag! 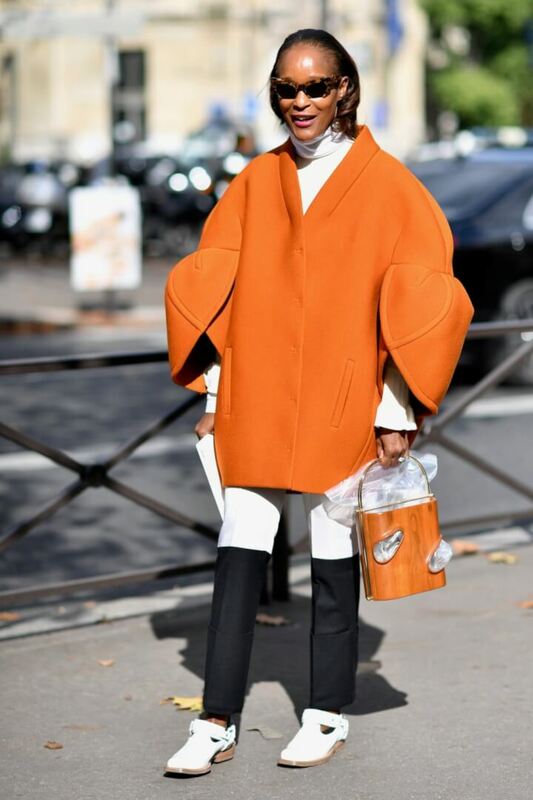 Have a look at 20 Street Style looks directly from Paris Fashion Week – Part 2. Red shoes or boots are a necessity in every wardrobe this coming Fall! 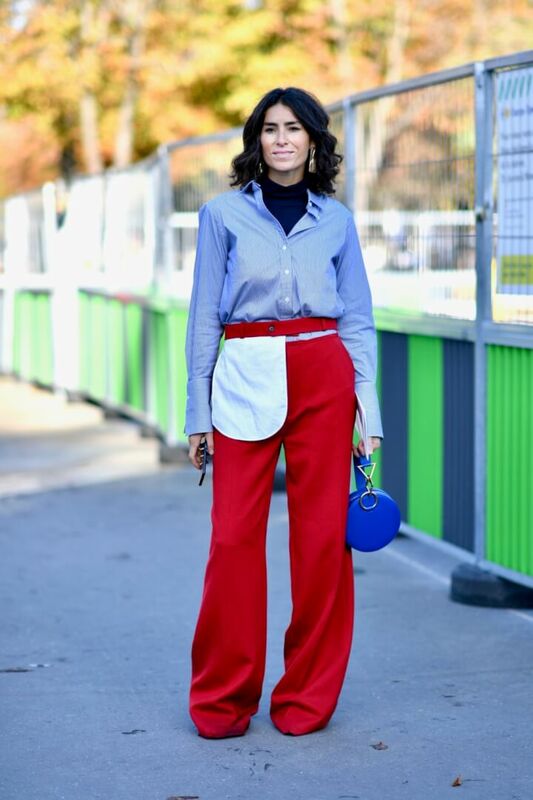 Note that when it comes to wider trousers, lengths have dropped! Gingham here to stay – check out the latest Gucci IT bag! Nothing like a few spots to make a statement! Note matching spotted stockings. 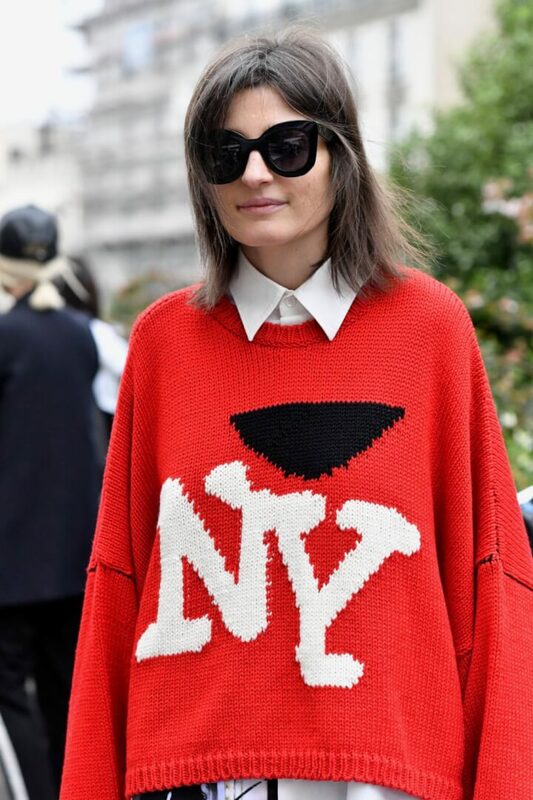 The oversized sweater – we all love them and this season they are a real fashion statement! 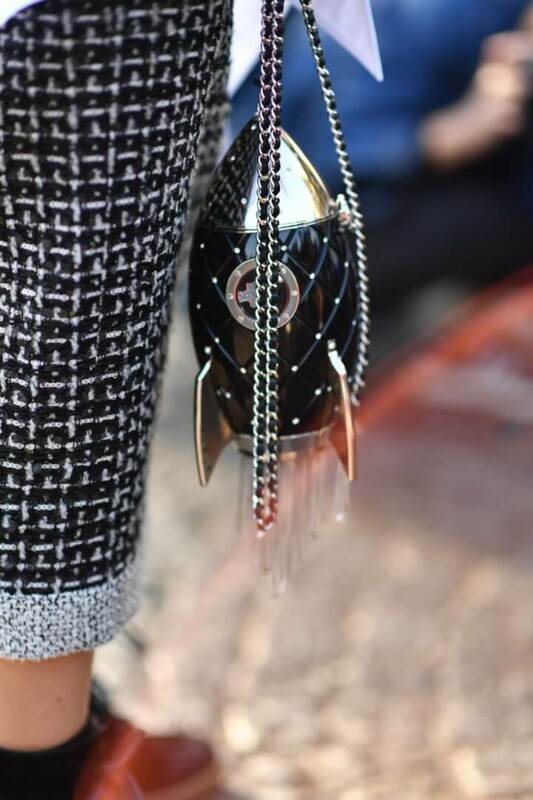 Spotting another Caroline Dechamby bag having fun in Paris! Leopard print and Tartan being the perfect match! Spot the new Chanel IT bag! Loving this combination – houndstooth making it’s comeback huge this season! 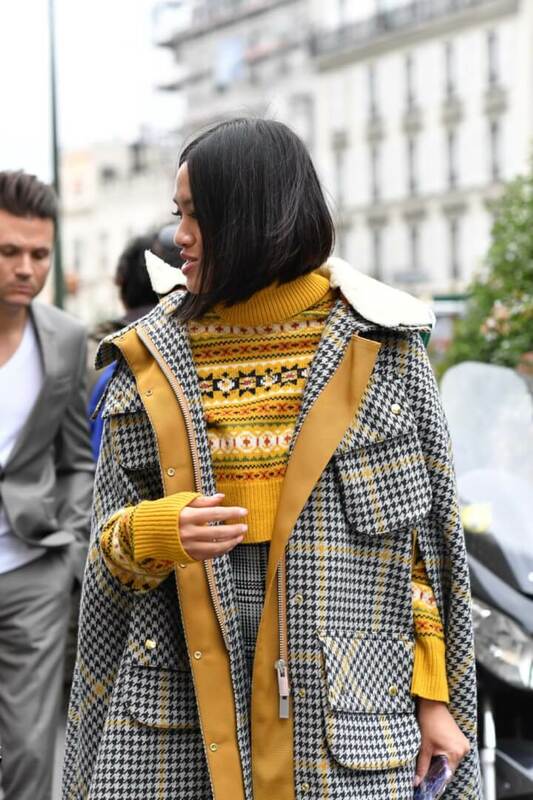 Houndstooth and yellow…perfect with a pop of red! Pretty yellow dress. Note nails and matching lips….lovely! Have you gotten your pice of vintage Chanel jewellery yet? If not, time to find some! 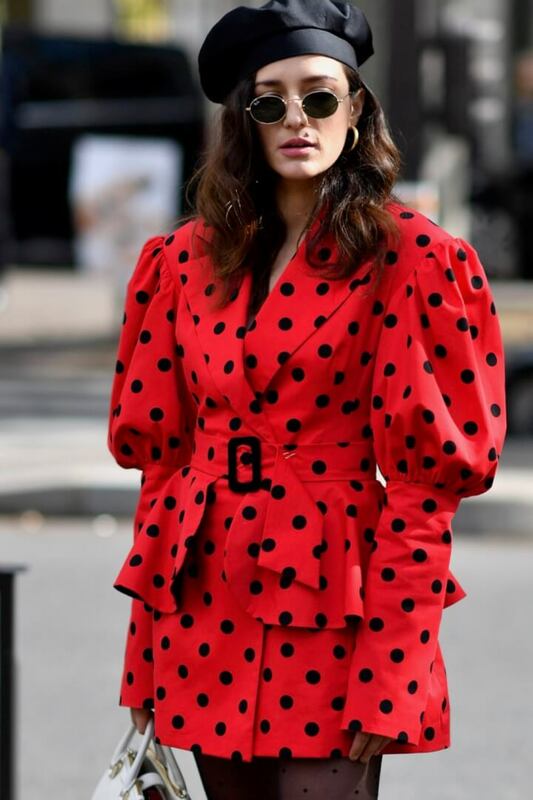 OMG that jacket – Yes please! OOOh, loving the tartan touch. 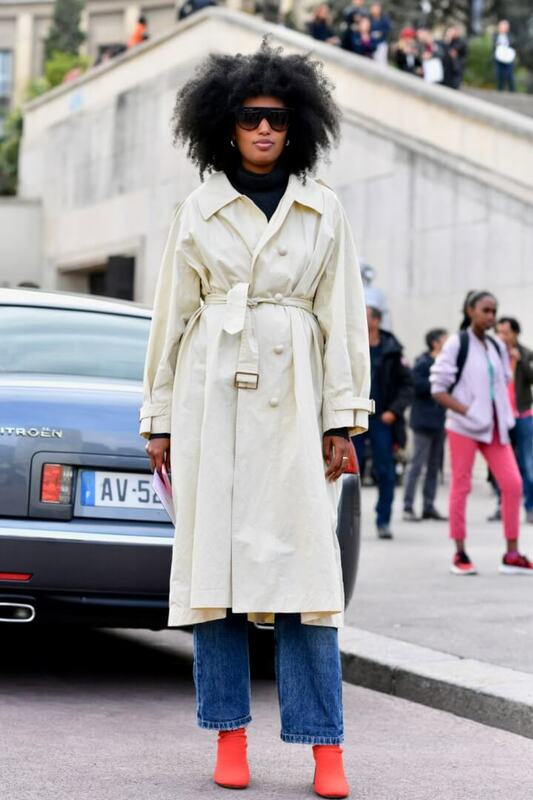 Note new jeans trend with essential black leather loafers! Stay tuned for more Paris Fashion Week news – see what’s in store next Summer 2018! « Foodie Madness – Vote for FunkyForty! Thanks for the great post!! Love the great colors and looks. Thanks Dale – yes you do – hehe!! !